We’ve said it before, but in case you somehow missed it, we have been using SHIELD TV in our homes since 2015 and we love it. Back then, if you were looking for an awesome Android TV experience, plus a sweet gaming experience, there was no better choice. 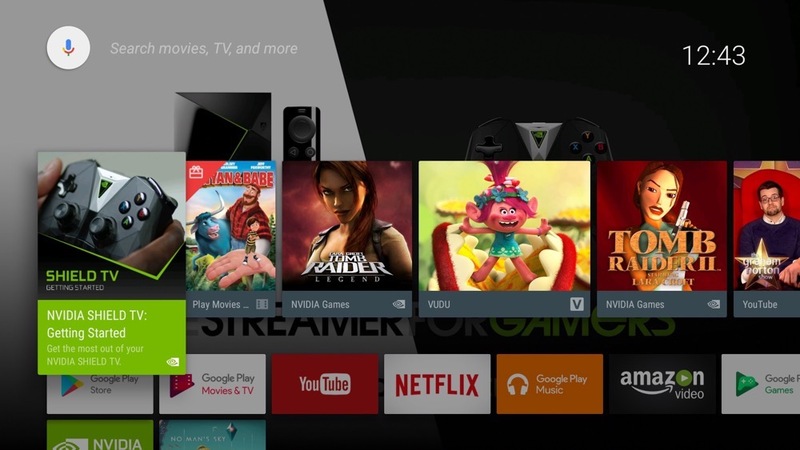 Now, in 2017, NVIDIA is back with an updated set-top box, looking to reclaim its own thrown in the Android TV ecosystem. 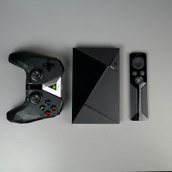 The updated SHIELD TV package includes updated box hardware (looks identical, but in a smaller package), eerily similar the same internal specifications, but also major design changes for the SHIELD Controller and a minor change for the SHIELD Remote. 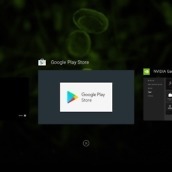 Overall, NVIDIA has created what it believes is the best Android TV package on the market, so for the last week, I’ve been using it non-stop and I’m ready to share my experience. Specs on the SHIELD TV (2017) include a Tegra X1 processor with 256-core GPU, 3GB RAM, 4K and HDR support at 60fps, Dolby Atmos and DTS-X surround sound pass through over HDMI, 16GB of built-in storage (base model), dual USB 3.0 ports for expandable/adoptable storage and data transfer, 802.11ac 2×2 MIMO 2.4 GHz and 5 GHz WiFi, Bluetooth 4.1, gigabit ethernet, HDMI 2.0b with HDCP 2.2 and CEC support, and Android 7.0. On paper, the SHIELD TV (2017) features the same specs as the original SHIELD TV, but let it be known, that’s not a bad thing. The 2015 model of SHIELD TV was easily outperforming any competition it had and it continues to do so. 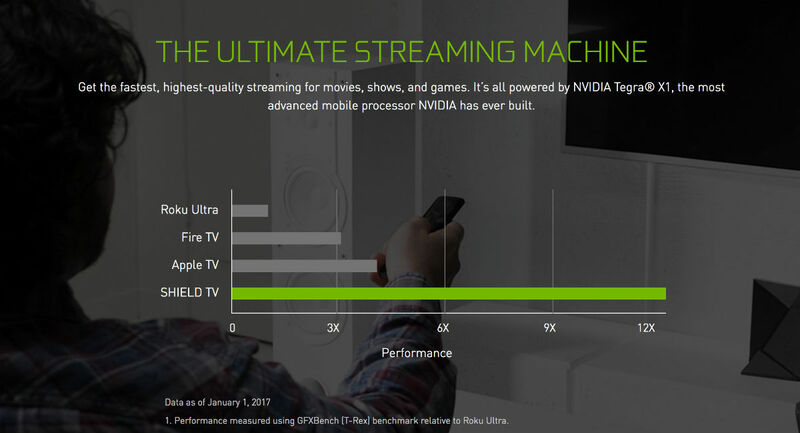 According to NVIDIA, even with using the same specs this year, the SHIELD TV (2017) outperforms its current competition by 3x, at least in their own benchmarks. To me, as an average dude who cares more about real world usage than benchmark performance, I can attest that the SHIELD TV (2017) performs great, especially with the addition of Android 7.0 “Nougat.” It’s a fast and smooth experience, pretty much the only thing I’m really concerned with. As long as I’m not seeing any jank when switching between apps or playing games, you won’t hear any complaints from me, and so far, all is well in the jank department. An aspect of the original SHIELD TV I quite admired was the design. 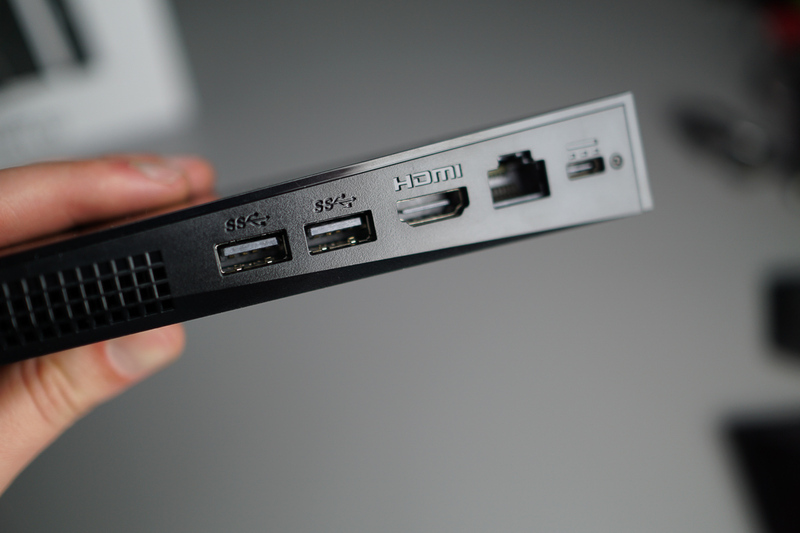 It wasn’t some plain, boring box with a HDMI port slapped on the backside. Instead, it was an angular, alien-like design complete with NVIDIA’s green colored light that would shine whenever the box was powered on. If we were judging devices based purely on looks, SHIELD TV was an easy winner. With the updated box, NVIDIA did not shy away from its ambitious hardware design, keeping it nearly identical in terms of appearance and shape. 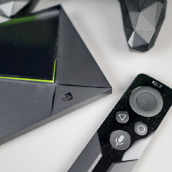 However, NVIDIA was able to take the same components of 2015’s box and jam them into a much smaller vessel, allowing owners to place the SHIELD TV in much smaller confinements. While having space for the original SHIELD TV was never an issue for me, I’d imagine that having a set-top box with a more compact footprint could be beneficial to some. 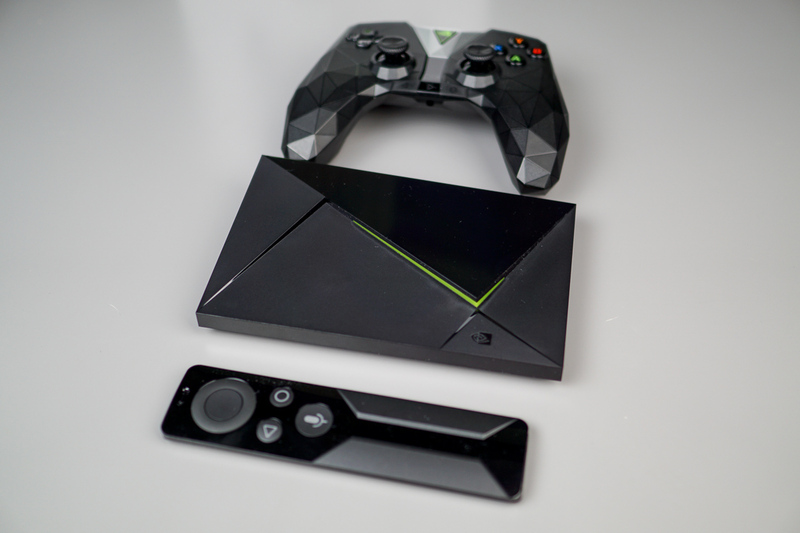 As it stands, the SHIELD TV remains my choice as the best designed set-top box on the Android TV market. There’s simply nothing that comes close. 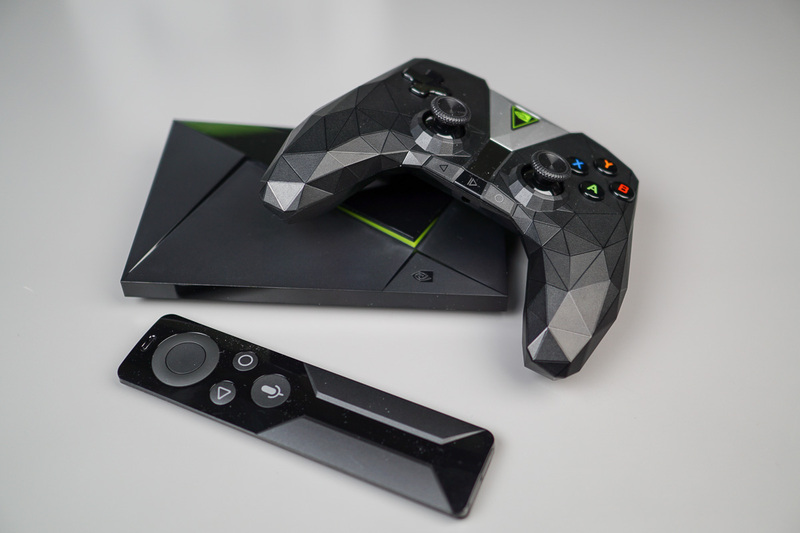 Beyond the smaller box hardware, NVIDIA appears to have focused immensely on the SHIELD Controller, one of the two ways buyers have of interacting with the SHIELD TV. In fact, when speaking to one NVIDIA representative, they stated that they were somewhat embarrassed by the original SHIELD Controller, with its rather bulky body. The updated controller is around 20% smaller than the original, and if I do say so myself, it feels absolutely terrific in-hand. 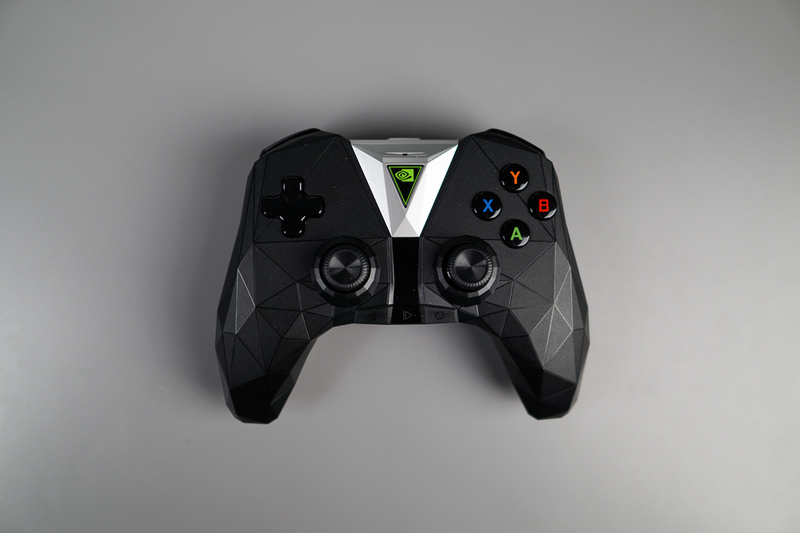 I have been using the SHIELD Controller almost exclusively to navigate the SHIELD TV’s menus and play games, coming away extremely impressed with its battery life, lack of latency when playing games, and just the overall feel of the buttons and triggers. 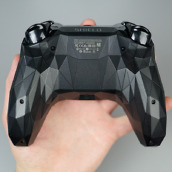 When I first saw the updated controller, I wasn’t quite sure about the triangle-heavy design, but once you pick it up and hold it, it’s a completely different story. 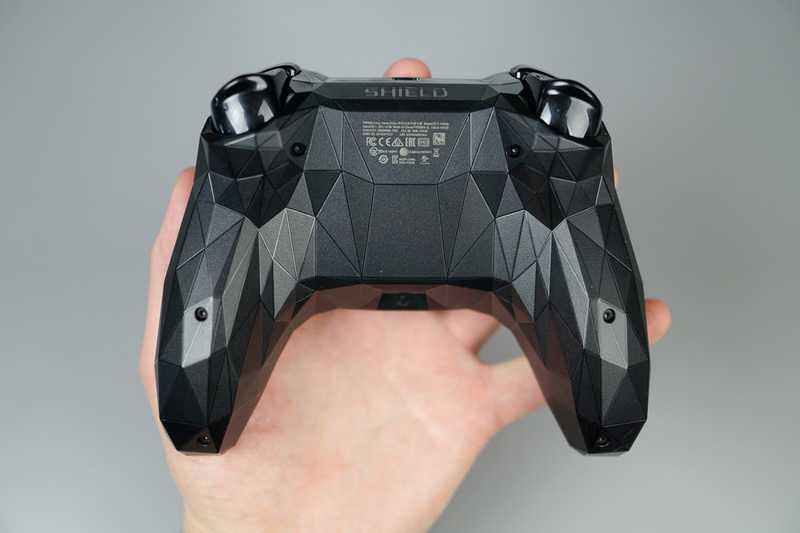 It’s as if each little ridge was designed to perfectly match up with the shape of a human hand, leading to what was hours of gaming with zero hand fatigue or soreness. Even when I go hard on my Xbox over the weekends (Call of Duty, Battlefield, etc. ), my hands can be sometimes sore afterwards, so the fact that I wasn’t experiencing any issues after long gaming sessions had me praising the work NVIDIA has done. 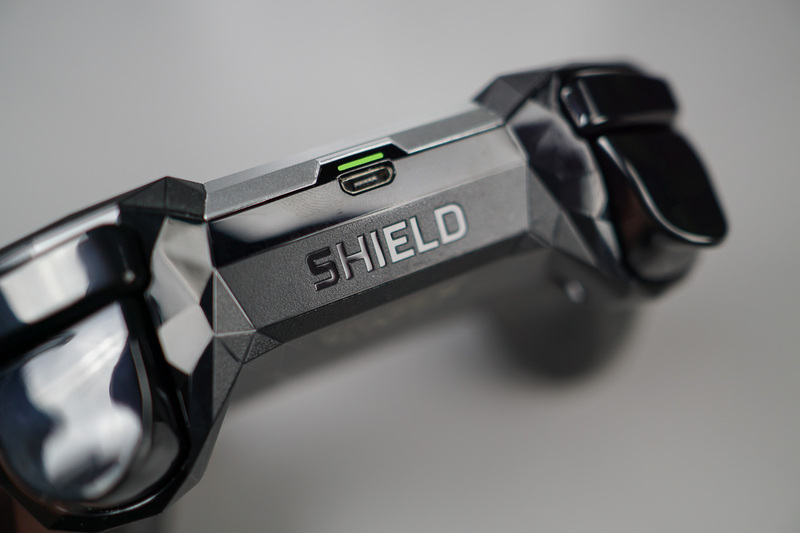 On top of that, for both the SHIELD Controller and SHIELD Remote, NVIDIA added in an IR blaster, allowing users to change settings on their TVs and receivers. Because everyone seems to love IR blasters, this was a good move, but I haven’t found myself using it just yet. As I have already written, if you already own a SHIELD TV (2015) and don’t think it necessary to purchase an updated box, just get a new SHIELD Controller. You won’t regret it. 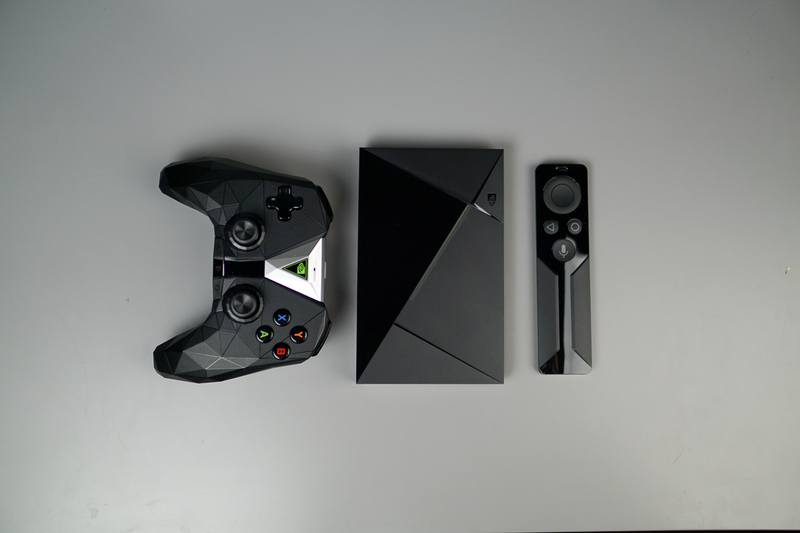 For testing the gaming aspect of the new SHIELD TV, I played a few different things. My most playtime went to No Man’s Sky, though, as I had never played it before and I really enjoy the “I’m all alone” aspect of exploring and mining new worlds. It has its relaxing moments, but also has intense space battle moments, too. Considering that the game was being streamed from NVIDIA’s GeForce NOW west coast servers, and it actually is quite the process intense title, I came across zero performance issues. While the game itself does have a few bugs (random crashes, slight frame rate drops when entering new star systems), none of that I can attribute to SHIELD’s performance. 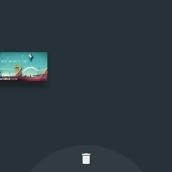 I also downloaded and played a few games locally from Google Play, such as Alto’s Adventure, Never Alone, and Resident Evil 5. During that time, everything was buttery smooth and I came across no issues. This is no shock to me, though, as I played the same exact titles on my older SHIELD TV in the past and never had any problems. Provided they run the same Tegra X1 processor and 3GB RAM, I wasn’t expecting to have any issues in the first place. 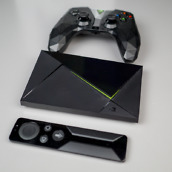 In theory, while some may think NVIDIA didn’t do enough to upgrade the specs found in the SHIELD TV, it’s still one of, if not the best performing Android TV box you can buy. 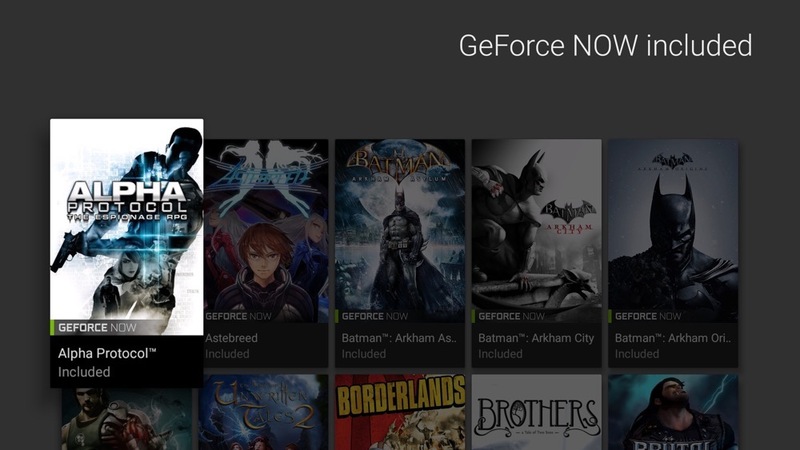 With purchase of a SHIELD TV, gamers will find access to GeForce NOW, NVIDIA’s paid subscription game streaming service. This is what I used to stream No Man’s Sky, which is not a free game to play. Beyond NMS, there are loads of other gaming titles, with others being added all of the time. For me, it’s hard to say whether GeForce NOW is a great investment, considering I typically stick to only one genre of gaming, being FPS. I’m a big Call of Duty and Battlefield guy, both of which I play with friends on the Xbox One. 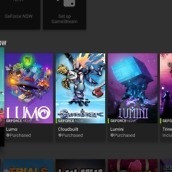 Because my online friends are there and I’m already invested in Xbox’s ecosystem with my library of games, I don’t know if adding another monthly expense for access to GeForce NOW would be a good thing. 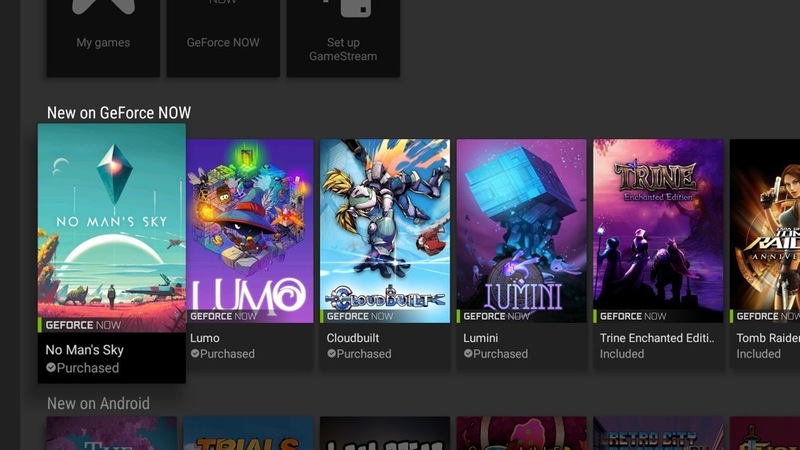 However, if you don’t own a PS4, Xbox One, or dedicated gaming PC, GeForce NOW makes a lot of sense. 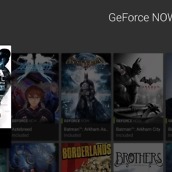 With a subscription, you get free access to a large number of titles, plus the ability to buy other AAA titles and simply stream them from the cloud. If you want to game, but don’t have a money tree in your backyard for new consoles and physical games, it seems like a good buy. Regardless of whether I think it worth it or not, I can say that streaming games on the SHIELD TV has been my favorite thing to do so far and it works flawlessly. 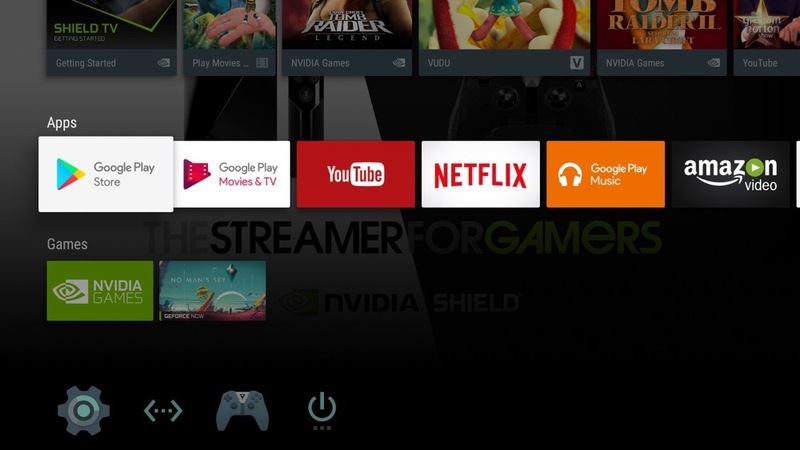 Included on the SHIELD TV is the latest build of Android TV, based on Android 7.0 “Nougat.” This has been my first experience with the updated Android TV, and so far, there’s much to like. 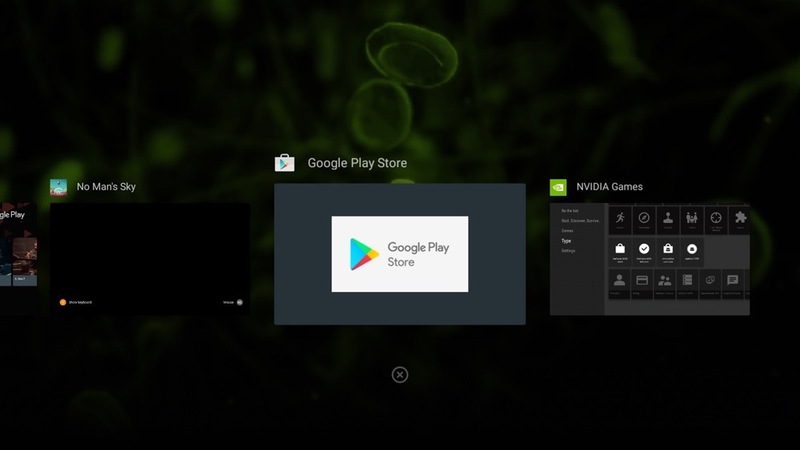 There’s an updated app switching option you can access by double-pressing the Home (Circle) button, plus NVIDIA has built in its beloved Share menu. With Share, experienced SHIELD device owners will know what I’m referencing, but it allows users to share broadcasts of whatever is taking place on your screen. For example, if I’m in a gaming session and about to take on a boss level, I can start streaming the action straight to Twitch via a linked account. 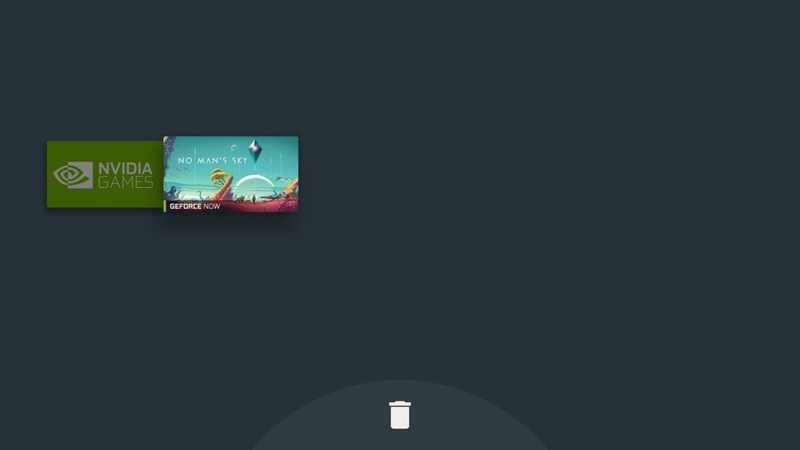 If entire gameplay sharing isn’t your cup of tea, this Share UI is also where users can snap screenshots, all accessed by long pressing the Home button. Users can also save recorded videos for later editing and uploading to be done. 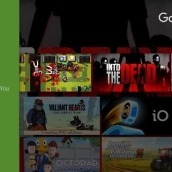 Beyond that, Android TV is still pretty barebones. There’s a slide-out system for accessing the Settings menu, allowing users to go through all of the basic options you’d expect to see. 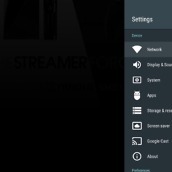 From here, you can tweak your network settings, account settings, storage settings, and everything else. 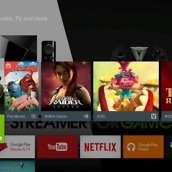 In my view, Android TV has gotten much better, thanks to a less is more approach. 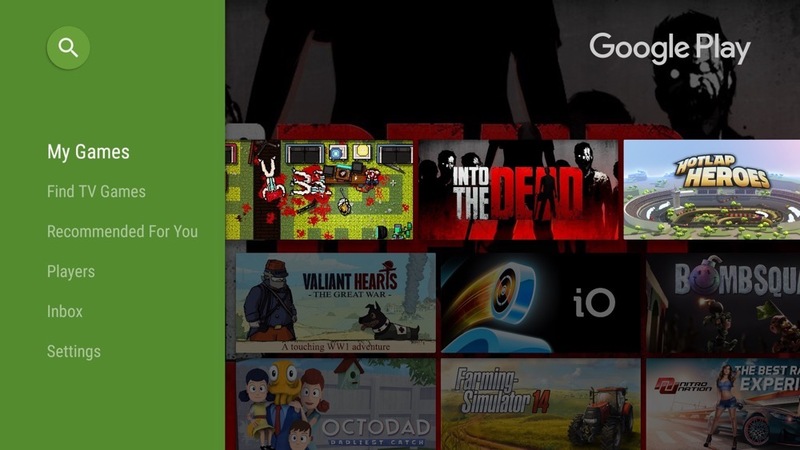 Once you boot up, you’re met with suggestions for YouTube videos and games you can play, plus a list of already-installed applications. I mean, really, what else do you need? From what I can tell, Nougat has helped smoothen up the experience, so I’m grateful for that. The newest SHIELD TV package starts at $199 for the base 16GB model, with a PRO model also available at $299. 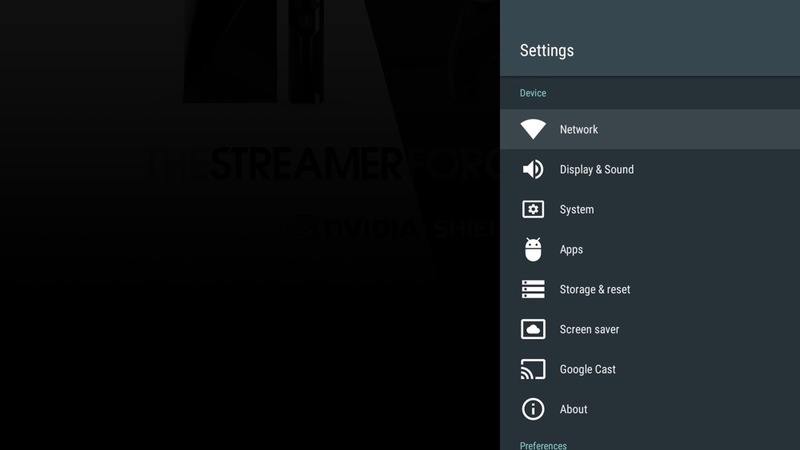 The PRO model differs in a single way, being that the SHIELD TV comes with 500GB of storage, aimed at those who may like to have their own media server for streaming purposes or just really need a ton of local storage for games and apps. You should also note that the PRO model doesn’t go on sale until late January, but is available for pre-order at all participating retailers. 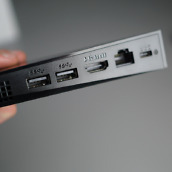 For the average person, though, the standard model should be just fine, coupled with the ability to utilize USB 3.0 ports for additional storage needs. Summing up the overall package, $199 is a killer deal. While the SHIELD Remote used to be a $50 accessory, it is now bundled in, giving more value to the package. On top of the sweet pricing, you can pretty much pick this box up wherever you’d like. It’s available on NVIDIA’s website, Amazon, Newegg, Fry’s, Best Buy, B&H, plus others. NVIDIA has a good track record in updating its devices. 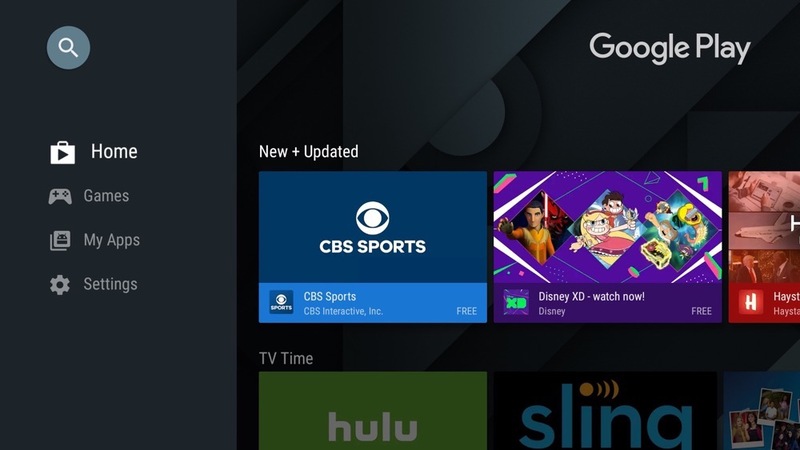 From my experience, the SHIELD TV has been no exception, with a major update sure to come at some point this year, being the update that brings Google Assistant integration and NVIDIA SPOT support. From what I can tell, NVIDIA truly cares about having the latest and greatest software in the hands of its users, and that is evidenced by the company’s transparency whenever updates are made available. There is a dedicated webpage to track what software is available and what it contains, unlike other OEMs that just push updates without going into detail with what’s inside. To me, this is what all consumers should demand. 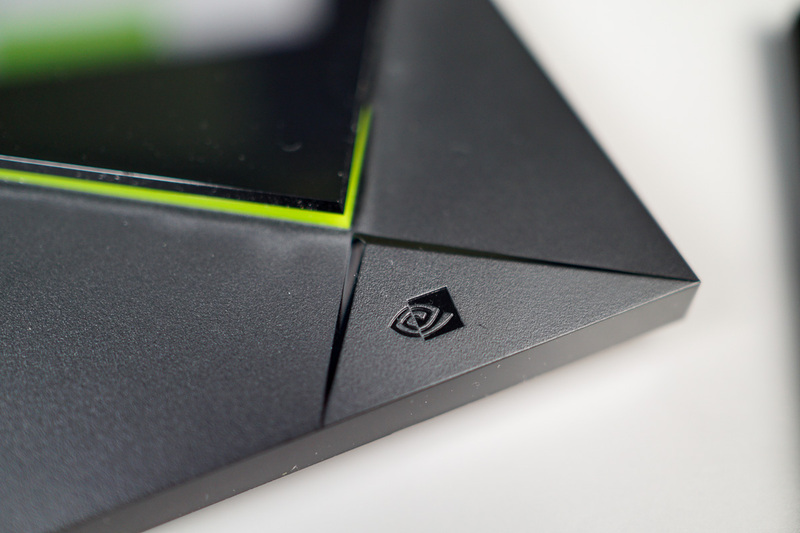 If you opt to purchase a SHIELD TV, you can rest assured that NVIDIA has your back with the software updates. 16GB of onboard storage is all you get with the base model of SHIELD TV, which in 2017, does seem a little small. 32GB, like smartphones, should be the bare minimum these days. 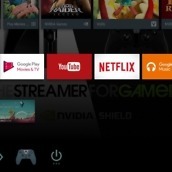 Considering the SHIELD TV is strictly a media consumption device, with users downloading plenty of apps and games, it just seems natural to up that base storage a bit. For anyone who feels this way, though, your sentiments have been addressed, technically. Thanks to adoptable storage on the Android OS, users can simply throw in a USB flash drive and up that storage to a more suitable capacity. Of course, high capacity USB drives are not free, so that is an added expense that some may not want to pay. On the other hand, portable storage has become much more affordable, with NVIDIA recommending a Samsung 128GB flash drive that costs just $33 on Amazon. That’s not bad at all. Point being, in what could just be a move to keep the price down, NVIDIA thought it fine to include a small amount of storage on the SHIELD TV. While there is a way to increase storage, it requires an extra step by the user, which could have been avoided by simply upping the base capacity just a little bit. While I could easily fill up 16GB of storage, it would be a bit more difficult to fill up 32GB. I don’t play that many games. Keep in mind, too, that the 2015 base model featured a SD slot for extra storage, something that was removed (probably due to lack of space) on the new model. Again, this is not a deal breaker issue, provided there are solutions (buy a flash drive or buy a 500GB PRO model), but something I felt necessary to address. This is an interesting notion that I have been throwing around, and maybe the most important point I have to make on the new SHIELD TV. At it stands, the SHIELD TV (2017) is essentially the same exact experience I had with my 2015 model. Yes, the new one has Nougat and a new SHIELD Controller, but once the 2015 model receives the same 5.0 Upgrade, it will again be identical. As a consumer, I can also purchase a new SHIELD Controller and then I really have the same experience across both models. The only time this will change is when Google Assistant is made available for the 2017 model. At that point, owning the new SHIELD TV will be like owning a new product. My point is, I really like the new SHIELD TV, but it doesn’t exactly offer anything different over the last one, especially once the 5.0 Upgrade is available for older units. 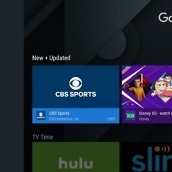 On top of that, NVIDIA and Google have clarified that Google Assistant will come to all Android TV boxes at some point, so when all is said and done, there should be nothing here to make current SHIELD TV (2015) owners upset. This can be seen as a very good thing in the eyes of old SHIELD owners, but then there’s nothing truly exciting about the new one. It really is just a smaller box with a battery controller. In my eyes, since the 2015 and 2017 model are so similar, I wonder why NVIDIA didn’t opt to wait to release the newer model until Google Assistant was ready for rollout. It would have given everyone a reason to pick up the new box immediately and take advantage of those sweet new features. 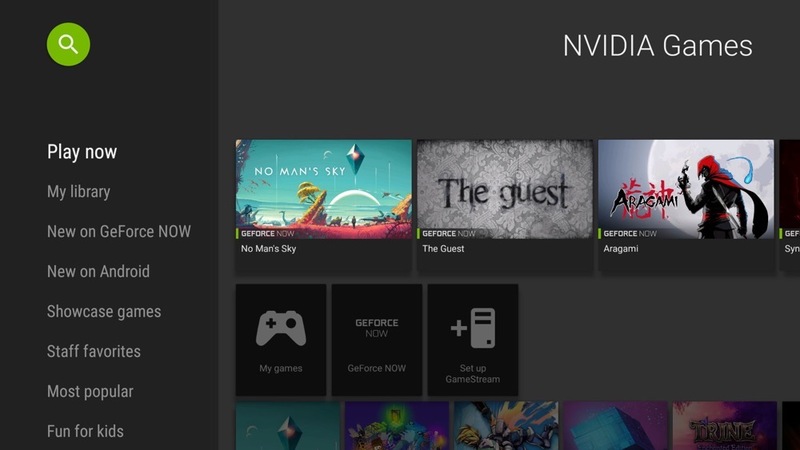 Why not wait for NVIDIA SPOT to be ready for release, too? If they had waited until then, you really have something to excite potential buyers. Instead, NVIDIA used this ready-to-ship hardware and the concept of NVIDIA SPOT to make its CES keynote a bit more exciting. While I can understand the move, it just makes this SHIELD TV launch seem a little underwhelming to me. It’s not that the underlying hardware and software is lackluster, it’s that you can find the exact same thing in a model from 2015. Am I the only person who finds that odd? Even more funny, while the specs from 2015 are being used in this new hardware, it’s still a better experience than anything else on the market. Things like this make me appreciate NVIDIA’s willingness to completely overdo it with SoC performance and GPUs. 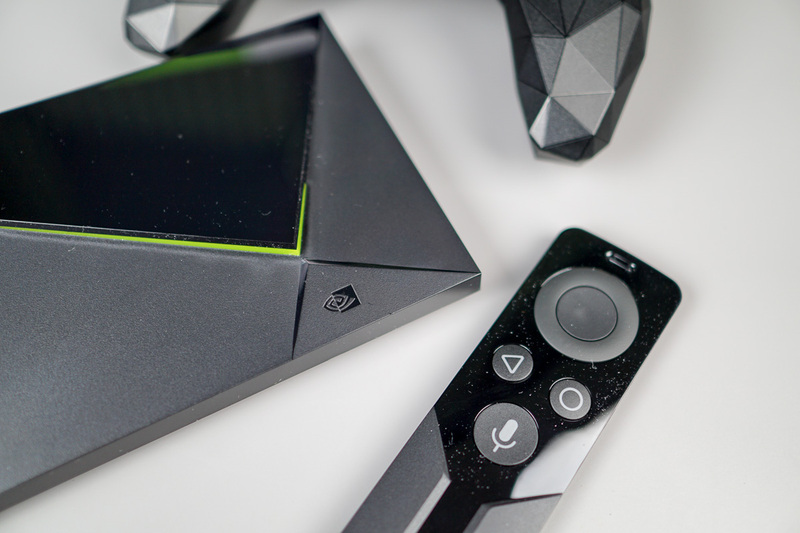 In an attempt to find something wrong with SHIELD TV, I will say that NVIDIA’s move to go with replaceable batteries on the SHIELD Remote is pretty silly. According to NVIDIA, a fresh battery on the SHIELD Remote should last about a calendar year of average usage. Out of the box, my SHIELD Remote appears to be at about 75%, meaning I’ve got about 3/4 of a year left of life. That’s weak. Furthermore, NVIDIA doesn’t go out of its way to explain what type of battery you need, or how to open the battery slot on the bottom of the remote. For anyone who asks, you’ll need CR2032 batteries, two of them. To replace, press a pointy object (pen, SIM removal tool, etc.) into the bottom of the SHIELD Remote and the tray will pop out. I’ll admit, this issue is a nitpick, but microUSB charging seemed just fine to me on the 2015 model. Writing a verdict for the new SHIELD TV is pretty darn easy. 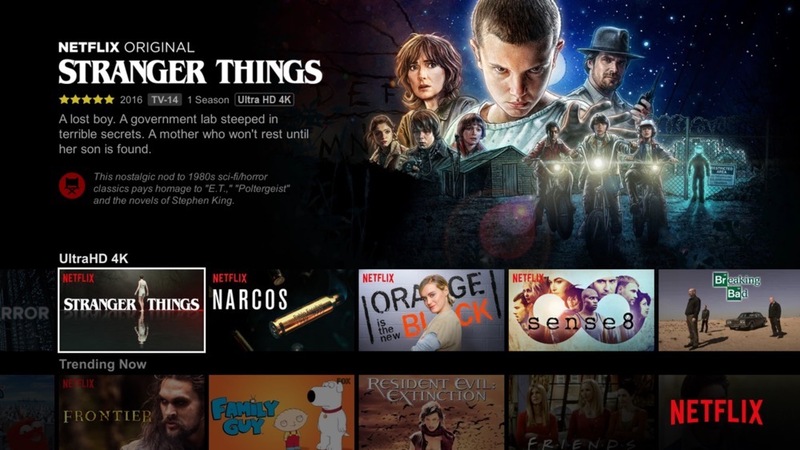 It’s the best Android TV box on the market. Period. It’s got the gaming performance, exciting new features coming, fantastic controller, and NVIDIA backing it up with speedy updates. As a consumer, you can’t ask for a better experience. While one could argue that releasing the box without its upcoming Google Assistant feature is a lame move, the fact is, it’s coming, and in the long run, that’s all that matters. 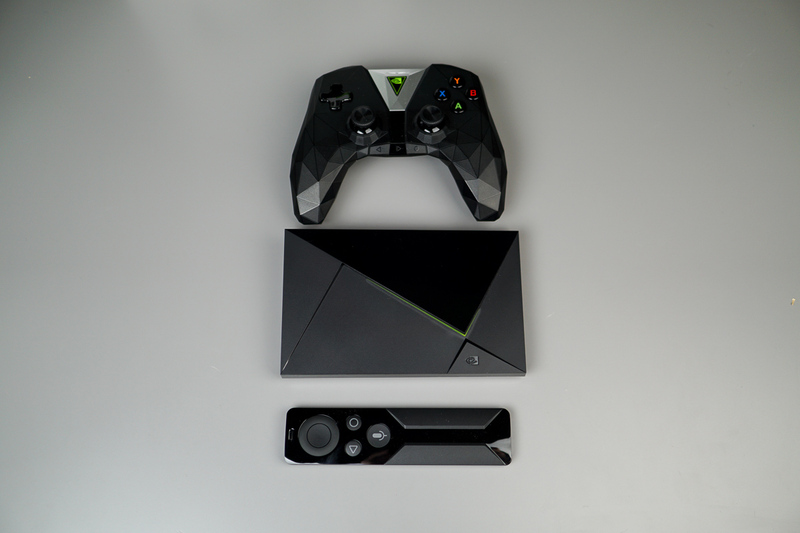 If you are in the market for a beautiful Android TV and gaming experience, you would be crazy not to pick up a SHIELD TV. DEAL: Asus OnHub Wireless Router is Just $99 Today ($90 Off) - Works With Google WiFi!